Five of Swords – Hostile Conflict! In numerology, five’s are synonymous with conflict, courage, daring, strife, uncertainty, fear and upheaval. Some key words for the five of swords are Defeat, discord and tension, betrayal, turmoil, being in a hostile environment, and victory through dishonor. It’s a good thing you took the time out to rest with the four of swords. you’ll need to be rested and have a clear mind in order to deal with all of the dishonest and hostile conflict associated with the five of swords. When the five of swords appears in a reading watch out! It can indicate that someone rather it be you are someone else will go to any means necessary to be the victor. However, just be mindful that although you may have won, your victory was at a high cost. So ask yourself, was it really worth it? When the five of swords appears reversed it can mean that you are ready to stop fighting and are open to resolving any conflict so it can be placed in the past. 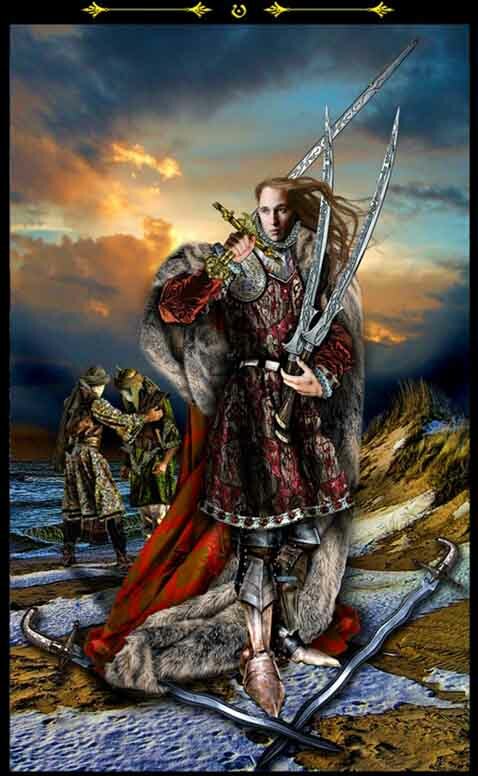 This entry was posted in Suit of Swords and tagged The Five of Swords. Bookmark the permalink.